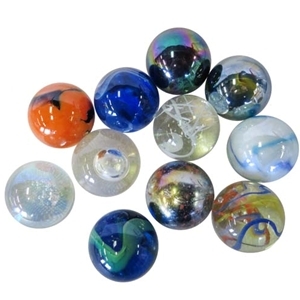 This is an assortment of the styles of toebreakers that we carry available in packs of 3 or 20 marbles. Styles and colors may vary from those shown in the picture. Toebreakers are approximately 47-48mm or almost 2" in diameter. Sizes will vary slightly.